The first couple of days after planting your vegetable seeds will seem like forever to a new gardener but they will eventually pop through the dirt. The first plants are a welcome sight but the work is far from done. This section of indoor planting focuses on what a gardener does once the first green has arrived. The first thing that needs to be done to the new arrivals is to thin them out. Most types of vegetables require two to three seeds to be planted per cell to ensure proper germination. This is great in the beginning stage but the plants will not grow to their potential unless they have ample room to grow. A gardener will need to thin out his/her plants by removing the weakest ones to the compost pile or moving them to another cell. Once the thinning is complete, there should be one plant per cell. 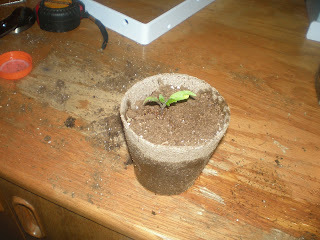 Continue to let the plants grow for a week or two to give the roots time to develop. Make sure to give the plants plenty of water and sunlight so they can grow to their potential. The plants should get ten to twelve hours of light a day followed by eight hours of darkness. The darkness is needed for the actual plant growth. Once the plants have had time to grow, it is time to move them to a bigger container. 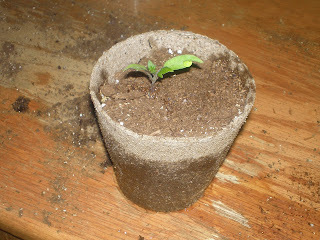 This allows the plant's roots plenty of room to develop. If the plant doesn't have a strong root system, it will never make it when transplanted into the outdoors. Containers can be purchased or made up. Any store that has gardening supplies will sell some sort of container. The store bought variety are nice because they can be buried along with the plant in the dirt. 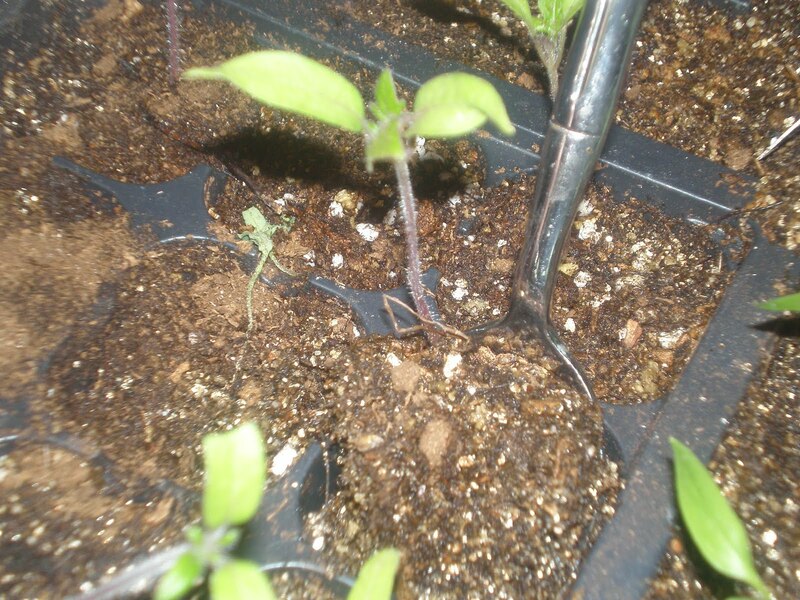 This makes planting with them easy and minimizes the amount of handling of the plant. If you are crafty, you could use an alternative as a container. Any container that has a hole will work. The hole is important because water needs to seep out of the container. A cheap and simple idea a co-worker shared with me is to use a medium sized deli container. Modify the deli container by punching a hole in the bottom of it and it works as good as the store bought version. 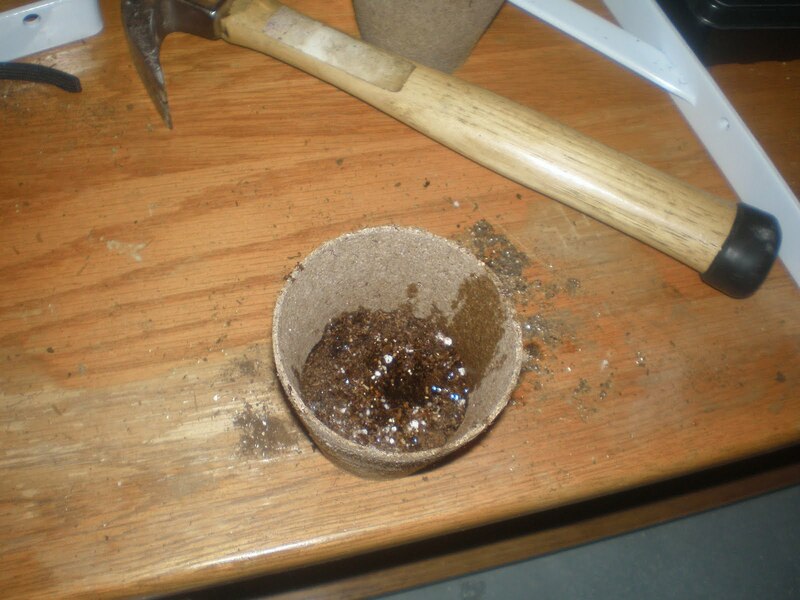 Remove the plant from the cell with a spoon making sure to scoop underneath the roots of the plant. The spoon is important because the roots should not be touched by hand. Place the plant into the container and fill with dirt following the individual plants directions. I filled this one all the way to the leaves because it is a tomato.